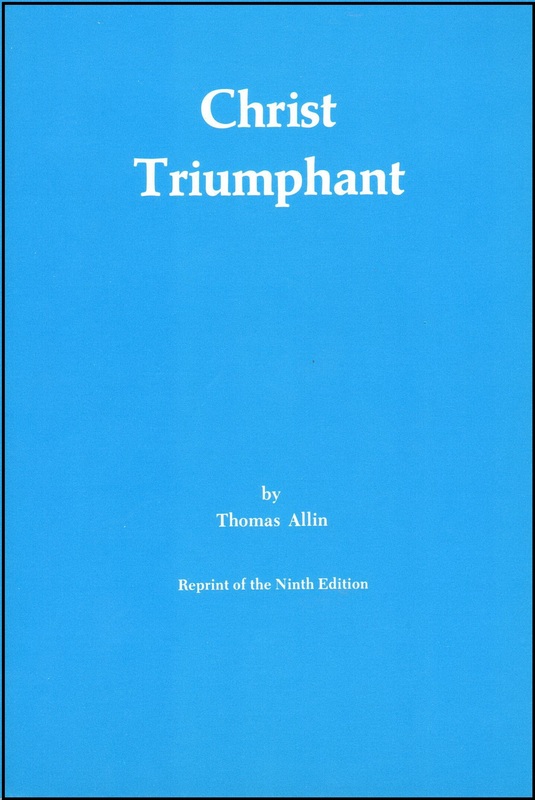 Originally published over 100 years ago, this book attempts to answer the question of questions: Can Evil triumph finally over Good? Originally published over 100 years ago, this book attempts to answer the question of questions: Can Evil triumph finally over Good? If we answer affirmatively with the popular creed, we are practically falling into Dualism. But if we reply in the negative, we are teaching Universalism. Such are the issues involved. Men strive to save the popular creed by various modifications: by diminishing the number of the lost, by softening their torments, or by asserting their annihilation. What are all these but so many tacit confessions that men everywhere feel it impossible to maintain the creed still generally professed? This early work on universal reconciliation deals with these things, and more. Like Jukes’ RESTITUTION OF ALL THINGS, Allin’s CHRIST TRIUMPHANT includes much interesting church history.